> NEWHALL > NEWHALL C.H.P. California Highway Patrol office at 15th Street and San Fernando Road in Newhall, 1953, seen from back yard of the Rice home. 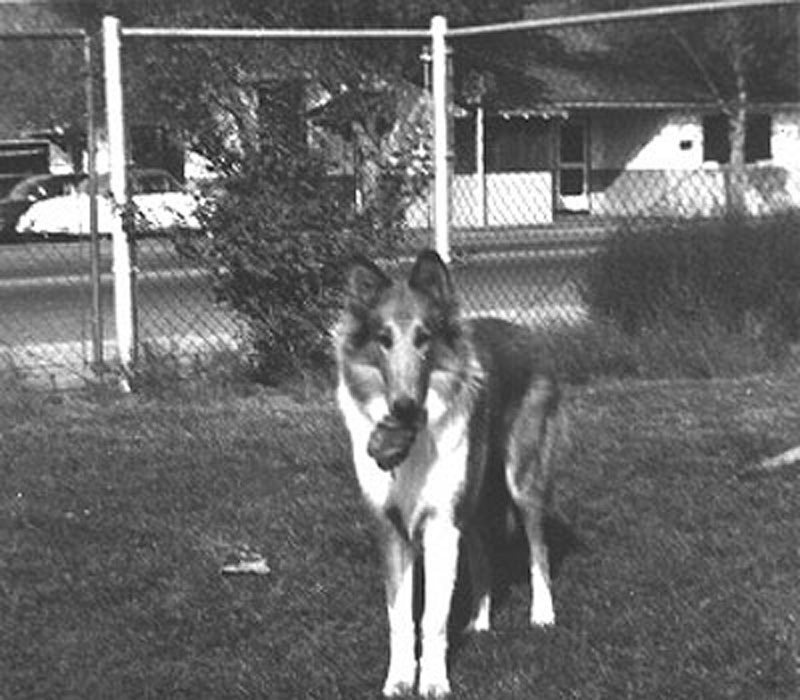 Seen is "Lucky," the photographer's collie. Photo by Bill Rice at age 11. WR5352: 19200 dpi jpeg from smaller jpeg | Online image only.